Perfect World Entertainment and Cryptic Studios today announced that the Star Trek Online community have come together to raise a staggering $35,000 for an anti-bullying charity organization, Pop Culture Hero Coalition. 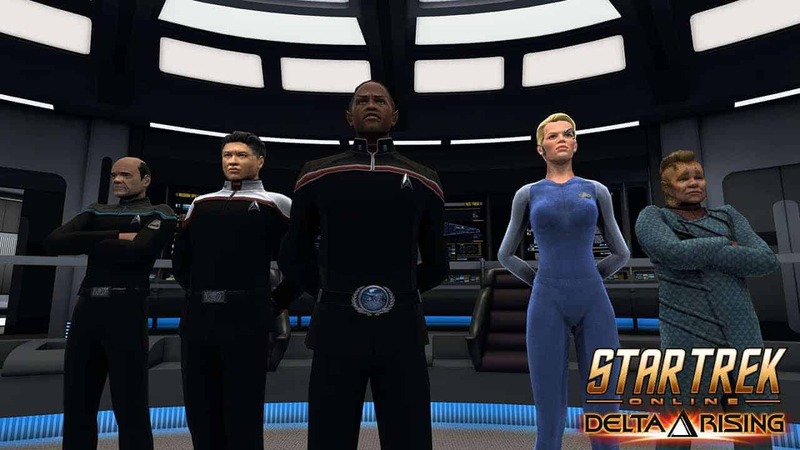 The organization has a closed tie with Star Trek Online as its founder, Chase Masterson, played a role in Star Trek: Deep Space Nine as Leeta, who also featured heavily in Star Trek Online Season 11 – New Dawn. On November 12th the team released several exclusive T1 ships and shuttles with all proceeds dedicated towards the Pop Culture Hero Coalition. The cause saw a huge response from the Star Trek Online community as they helped to raise over $35,000 in just a few days. Pop Culture Hero Coalition will use the funds to help promote the organization at various anti-bullying and pop culture events.